Iowa is unusual as it does not have any refining capacity but still has low gas prices. Over the last month gasoline prices in the state have fallen 6% which is attributed to the introduction of more ethanol blended fuel in the state. In Iowa’s capital, Des Moines, prices were as low as US$ 2.77 /gal. Consumer goods and the cost of living is also very low in the state. Over the past year the price of a gallon has fallen from US$ 3.43 to the above. 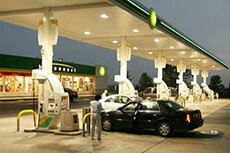 It is low gas taxes that help keep prices down as residents pay 12 cents less than the US average. New Mexico is one of the leading states for oil production at 272 000 bpd (August 2013). Its location to Texas is also a bonus. It is low taxes that keep prices down in South Carolina, as it has no refining capacity. The low taxes isn’t necessarily a good thing all round as it leaves little funding for road repairs that some in the state believe are desperately needed. Mississippi refines 364 000 bpd, one of the largest capacities in the country. An underground pipeline running from Noroco, La. Is also likely to benefit the state further. The median household income is however the lowest in the US at US$ 37 095. Louisiana processes 200 00 bpd and is close to Texas and the Gulf of Mexico which helps support supply to its refineries. The state is also home to the country’s only offshore oil port which allows tankers to offload their oil. The state has the country’s least burdensome tax frameworks. At the start of this year, Kansas had an operating capacity of nearly 340 000 bpd. The state is likely to benefit from the Keystone XL pipeline, if it gets clearance, which will only help gasoline prices further. Texas has the most refineries of any state in the USA and had a refining capacity of 4.8 million bpd at the start of this year. Over the past year gasoline prices have dropped from US$ 3.24 /gal. to the above and the state benefits from its proximity to Texas and Louisiana. 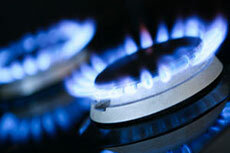 The relatively low incomes and cost of living are also thought to play a key role in keeping gas prices down. Median household income in 2012 was US$ 40 000, the second lowest in the country. Oklahomans pay a very low level of state tax, almost half the national average and it has an abundance of natural resources. The state’s refineries have a processing capacity of more than 500 000 bpd. Median household income is below the national average but the cost of living is also amount the country’s lowest. Despite not having any refineries, Missouri still has the cheapest gasoline prices in the USA. Missouri is another state with the privilege of being located close to Louisiana and Texas as well as the Keystone Pipeline (once built). Dwellers of the state also pay some of the lowest gas taxes in the country. A look at what gasoline prices are currently doing around the USA. 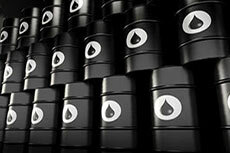 The latest US Energy Information Administration petroleum status report has caused crude prices to rise as gasoline inventories decline. PIRA Energy Group’s weekly oil market recap for the week ending 3rd November 2013.